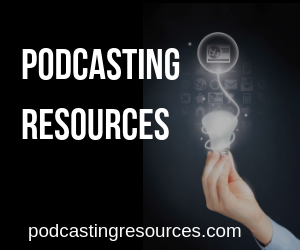 When it comes to creating a podcast, it takes a little courage. Today on episode 623 we talk with Cody Gough of the Curiosity podcast. Cody had a podcast that was successful, and based on the goals of the podcast decided to make a radical change to their publishing schedule. Brenda from My Tech Toolbelt shares the story of being able to score media passes for one of the top educational events that would've cost her $650 but she's going for free Because of her podcast. Every month we have one episode based on listener feedback, and somehow Todd's from the Trucker Dump podcast (www.abouttruckdriving.com ) went to spam. Todd shares an idea he may be turning into a podcast, and how he was able to get some sponsors for his podcast. I can't think of anything that was perfect right out of the gate. 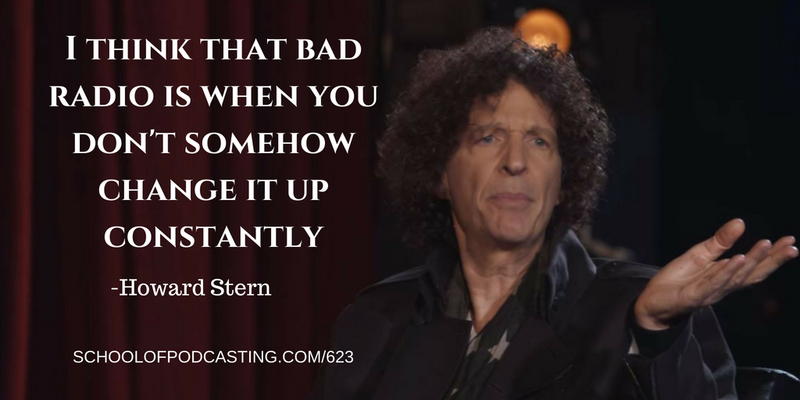 Yet, people will not start a podcast because it is “not right.” In a recent interview on the “My guest needs no introduction” Howard Stern talks about how he has changed over the years because he went to therapy, and isn't as insecure as he used to be. He states, “I think that bad radio is when you don't somehow change it up constantly.” In another interview, Jerry Seinfeld interview David Letterman and he explained how Johnny Carson had all sorts of stipulations on how Dave could do his show, and as Dave put it, “I picked up the crumbs and try to make something out of it.” That lead to Dave being super creative, and doing something you couldn't find on the TV anyplace and brought him a super loyal audience. So what can you do with your podcast if you took away some of the segments, some of the format, and had to come up with something new? What If There Was No Social Media? I was listening to the New Media Show and Todd Cohran brought up an interesting question, “What is there wasn't social media, how would you promote your show? That may be something we think about, and start doing. We can easily rely on promoting ourselves sitting in front of a computer screen, but there are other strategies that require you to get out from behind the desk.